iPhone 4G is well on its way. If you have had any doubts about Apple introducing its next generation iPhone sometime this year, you may want to think again. When photos and videos of an Apple’s upcoming device start getting leaked to the media, it is obvious that we are getting close to release date. 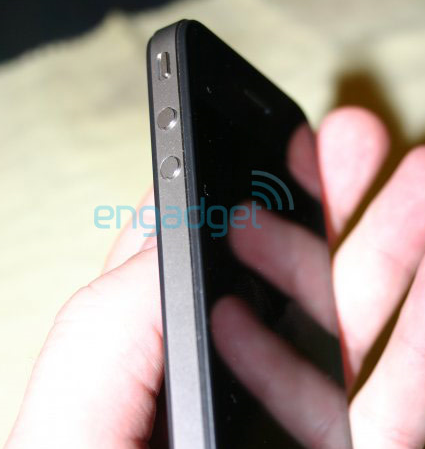 There have been a few iPhone 4G leaks already, but none has been better than the photos published by Engadget. Apparently, someone forgot to take her iPhone HD and left it for all to see at a San Jose bar. That someone will probably get fired unless it was Apple’s plan all along to leak the images of the device to the media. There isn’t a ton that you can read from looking at the above picture. Nevertheless, the new iPhone seems to have a front-facing camera and a flash high resolution camera. Here is the fun part. iPhone 4G seems to have a MicroSD memory slot too!Mac Rumors is hosting a few other photos of iPhone HD prototype. We are most likely talking about a final prototype and not exactly the device that will be shipped in June. Considering that AT&T has nixed vacation plans for its employees to focus on iPhone HD launch, late June or early July seems like the time that the new device will start shipping. It is surprising to see how many people believe the “poor employee left an upcoming Apple device at a bar” story. Apple is the master of managing news cycles, and it is playing its cards perfectly. With all these leaks and speculations about iPhone HD, who has time to talk about other phones on the market. Apple Confirms iPhone 4th Gen Stories?